The first evidence of human habitation on Anglesey dates back to the Mesolithic period, in about 7000 BC. Throughout the following millenia, the tribes which occupied the island erected numerous stone burial chambers, standing stones and hill forts, many of which have survived through the ages in good condition. Archaeologists have uncovered and excavated many sites, rich in artefacts such as pottery and stone tools, from the Mesolithic and Neolithic periods through to the Bronze and Iron Ages. During the Roman occupation of Wales in the 1st century AD, Anglesey was one of the last strongholds of the Celts and their Druid priests. The Romans were determined to invade Anglesey and destroy the Druids, who were maintaining strong resistance against them. The Roman historian Tacitus gave a famous account of the fierce battle on the shores of the Menai Strait , at which the Romans were victorious and the Celtic period came to an end. The early Mediaeval period saw the Celtic Christian Church flourish throughout Britain and Ireland . Two main monasteries were founded on Anglesey : St Cybi’s at Caer Gybi (Holyhead), and St Seiriol’s at Penmon. Viking raids subsequently caused great destruction at these settlements, as well as at the royal court in Aberffraw. However, after the end of Viking activity in the 12th century, Anglesey flourished once again. Many of the island’s churches originated at this time and several are well preserved and still in use today. 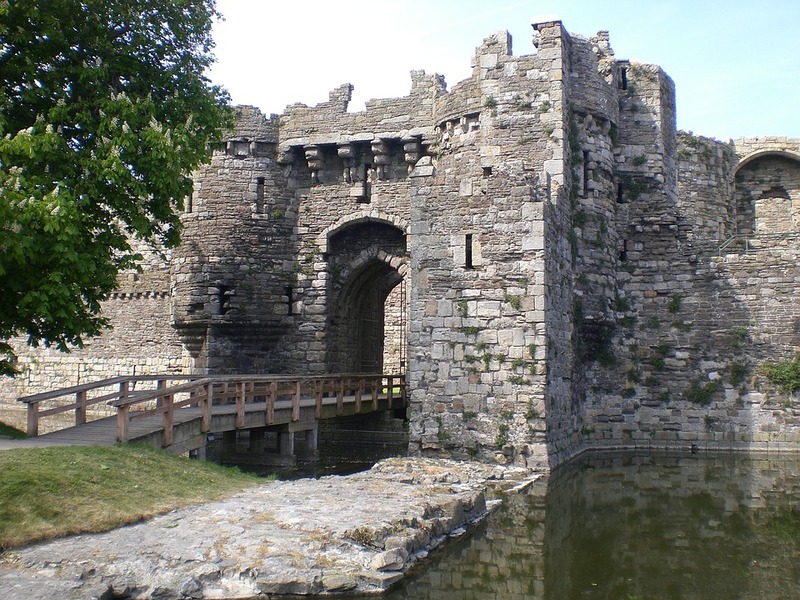 The 13th century brought conflict between Wales and England . Edward I launched two successful campaigns against Llywelyn ap Gruffydd , the last native Prince of Wales. After the second defeat, Edward built his ‘iron ring’ of castles around the coast of Wales to ‘subdue the natives’. From the 18th century onwards, Anglesey became prominent for two main reasons: firstly, copper and secondly, sea access to Ireland . Parys Mountain was a site of copper mining during the Roman period and possibly much earlier. In the 1760s full scale mining began, to satisfy demand for copper for the production of guns, metal plating for ships and coinage. At its peak, it was the largest copper mine in the world. The end of the Napoleonic wars brought with it a reduction in the demand for copper and a subsequent decline in the mine’s fortunes. The union of Britain with Ireland in 1800 increased the need to improve the road route from London to Dublin and, by this time, Holyhead had emerged as the primary port for sea access, mainly due to the fact that it is the closest point on the British coast to Ireland . In 1810, Thomas Telford was commissioned to build a new road through North Wales and across Anglesey . This included the first major suspension bridge in the world, the Menai Bridge , across the Menai Strait . The coming of the railways lead to a requirement for a rail route to link London with Dublin , hence a rail bridge was commissioned and the Britannia Bridge was built by Robert Stephenson in 1850. Anglesey, today, is still the primary gateway from Europe to Ireland . The first Women’s Institute in Britain was started in Llanfairpwllgwyngyllgogerchwyrndrobwllllandysilliogogogoch, the Isle of Anglesey village with the longest name in the world. Beaumaris gaol (open to the public) has the only working tread wheel in Britain . The prison’s architect was Joseph Hansom, who also designed the Hansom Cab. Charles Dickens visited the Island in 1859 to report on the loss of the Royal Charter, one of Britain ‘s worst shipwrecks, in which 400 people perished.